Ok, I’m in. Even though I’m somewhat deathly afraid of creepy clowns, I can’t help but to get excited when it’s insinuated that a horror movie will revolve around them. The speculation is running wild on this one though, because the poster is just so damn cryptic. 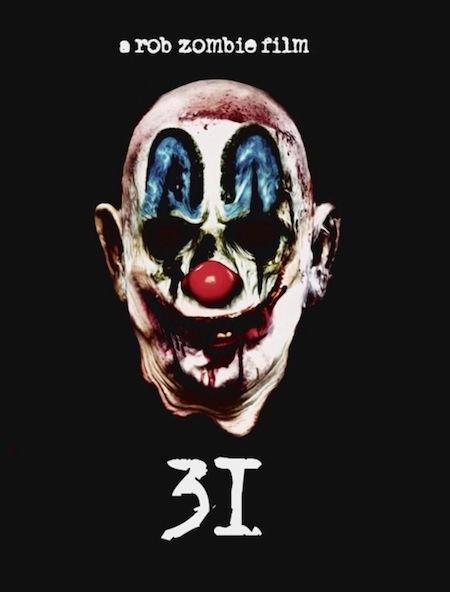 Rob Zombie did confirm that the title is 31, even though the letter ‘I’ on the poster is a bit confusing, so we can get that speculation about the title out of the way. 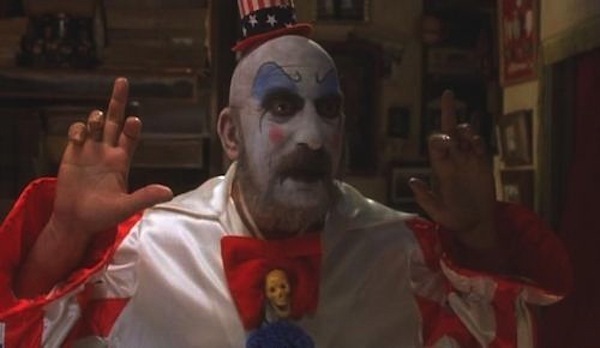 First thought that pops into my head is a Captain Spaulding prequel, based on the fact that the face paint on that clown up there is very similar to his. But I don’t think that’s what we’re getting here. Second thought is that considering it’s called 31, it could be a Halloween-themed outing, but maybe not in the Michael Myers realm (this has somewhat been confirmed on some sites according to word from Mr. Zombie himself).